We had my sister’s kids over night. 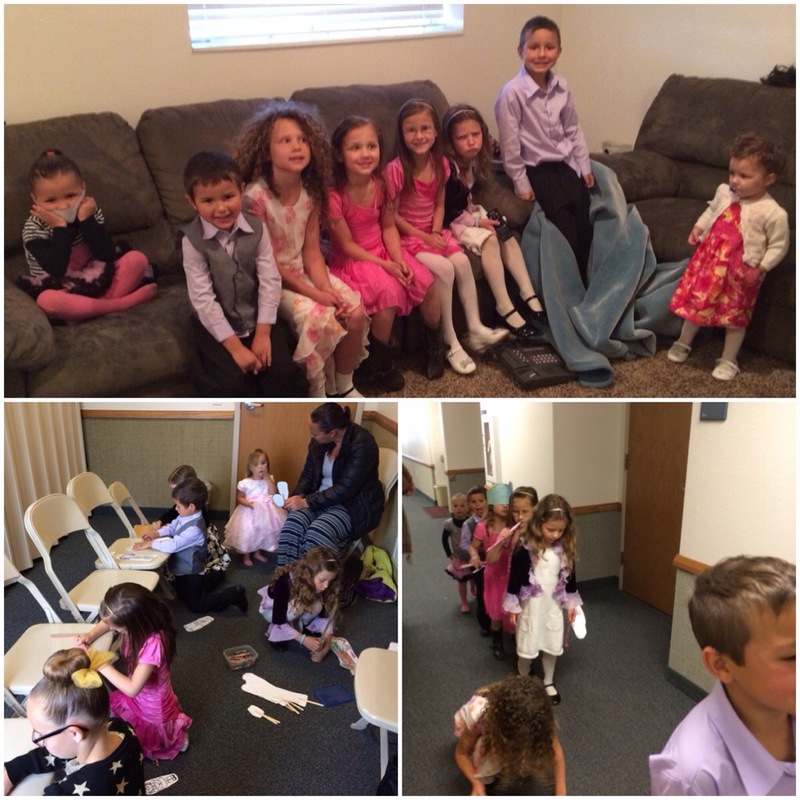 It was a late night and an early morning., but surprisingly getting all 8 kids ready for church went very smoothly. It helped that they were all up around 6-6:15… That gave me at least 2 1/2 hours to get them and myself ready. Corom went to a meeting that started at 6 a.m. So we just met him at church. I had a couple (the Silcox’s) on one end of the church bench and Julie Anderson and Z on the other end with me right in the middle… With their help Sacrament meeting wasn’t to hectic. 🙂 I (and my friend Camille) taught about families in my 2nd daughter’s primary class today. It was fun. We made little family puppets. 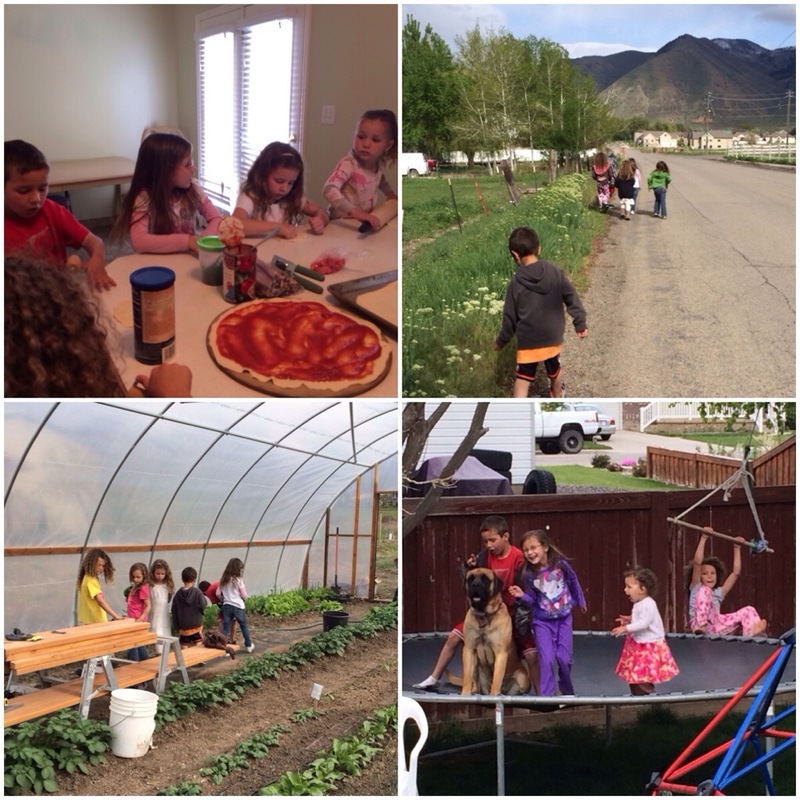 At home, the cousins played, we went for a walk, visited some neighbors (and checked out their amazing green house), made pizzas and had dessert with the Fullmer’s. You are a saint. How funny is that dog on the trampoline? I have dog fever these days…. Are you able to have a dog in the apartment you live in? Cuz you can take one of ours. 🙂 that one is actually our “puppy” and she is already about 150 lbs. she learned how to jump up in the trampoline. Poor kids. Our place in Chicago allows dogs and is plenty big enough, we also have a back yard that we share with 3 other apartments (who all have dogs and unfortunately no one cleans up after their dogs…sigh). Last night we watched a CNN special on shelter dogs. I cried and I think Rock is leaning towards getting one. Going back and forth between NYC and Chicago is the only factor. Our schedules certainly permit the time.